Each and every child is born with potential. The adults in that child's world must work to make certain that there are educational opportunities in place to ensure that potential is reached. Every time an adult acts to support a child's potential or speak on his or her behalf, we are striving to act as an advocate. In some instances, parents will use traditional venues, such as parent conferences, team meetings, or other official school processes, to advocate for their child. If, however, there is a breakdown in the process, parents may find that they need to hone their own advocacy skills or hire a professional advocate to help ensure that their child receives the necessary opportunities and services. Hiring a professional advocate who brings special expertise to the process may allow parents the opportunity to better participate as an equal partner in decision-making for their children. Advocates are more common in the field of special education where federal laws exist protecting children who receive special education services. However, there are advocates that specialize in gifted education or work with twice-exceptional children. These advocates can be particularly successful where there is state or district policy mandating gifted services. As children progress in school, they give clues that indicate how they are doing. They may let us know that the work is too hard, that paying attention is difficult, that they can't remember their math facts, or that they have no friends. They also may let us know that school is boring, and that they are not being appropriately challenged. When parents or teachers become aware of a child's obstacles to learning, then together they can plan the appropriate interventions necessary in order for a child to receive appropriately challenging instruction. monitoring legal issues and providing intervention when rights are violated to ensure that the child will receive the finest educational experience possible. Based upon their training and experience, advocates bring a high degree of skill and knowledge to the entire process of helping students reach their potential. An advocate also can help a school team to plan proactively to ensure an individual student's success before serious problems arise. Advocacy, when done appropriately, can be beneficial for any student. It may be especially crucial in cases where the parents don't feel that they are an equal part of the process because of their own cultural, language, or socioeconomic differences. In these cases, the advocate can help the parents to understand the process and effectively express their opinions, as well as ensure that parental input is treated with the same importance afforded any other parent. Advocates also can listen for other potential biases. Is the young girl in question being excluded from opportunities just because of assumptions made about her based on gender? Are a young man's educational needs being met by research supported practices? Many school personnel welcome the presence of an advocate at a school meeting. An advocate can communicate the issues in ways that both the parents and the school personnel are not able to do. For example, the advocate may suggest solutions that school staff may not bring up due to budgetary constraints or directives from supervisors. However, once the advocate's ideas are out on the table, school staff may feel free to support what they believe is truly in the student's best interest. The advocate also may have a mediating effect on the parents. Although an advocate attends the meeting at the parents' request, the advocate's focus should be on the needs of the student. He or she can get the meeting past difficult sticking points by being unbiased and objective in order to move the team toward decisions that are in the individual student's best interests. Advocates must know how to work with school-aged children and their families as they interact with the school system. Due to their special expertise related to a wide variety of gifted education and/or special education issues, the advocate may become a valued expert who provides information to school staff members and to parents. In order to do all of this, the advocate must understand school law and district policies, interpersonal dynamics, and must also understand one's own self. An effective advocate will perform a wide variety of tasks. These tasks may be broadly categorized as gathering information about the child, determining what action steps are necessary for achieving outcomes that are in the child's best interests, and participating in meetings in varied settings to ensure that these action steps are accepted and implemented. analyze the current situation to see if it is a good match and if not, could it be a good match if some achievable changes were made. All the while, the advocate will be looking at any environment through the lens of the individual child. Advocates must know the state law and/or district policies in order to effectively represent the children they serve. Depending on the issues that face the individual child, the advocate will refer to and use general education laws and those specific to gifted and talented and/or special education. These will vary from state to state and district to district as there are no federal laws mandating and governing gifted education and talented education. Parents and educators who are able to understand the law and regulations related to the education of children will be better able to make requests, file complaints, or express concerns in a way that is directly related to state law and school district policies. Advocates also have a better understanding of the terminology used by school personnel and how to assess gifted education classes and programs. An important part of the advocate's role is preparation for the school meeting. He or she must know the child, the child's family, school program, current concerns of school staff and family, and have a plan in mind for the types of requests to be made. When an advocate helps a family to obtain appropriate services for a child, he or she forms a special relationship with one or more of the child's parents. Although there are situations where it is the school staff or a related service provider that first identifies the need for new or different services, more often it is the child's parent(s) who brings this issue to the attention of the school. Parents' approach to advocating for their child will depend on their view of the child's strengths and needs, the structure of the family system itself, the child's educational history, knowledge from experts outside of the school, and their own personal schooling experiences. All of these issues will impact on the parents' point of view and participation in the process of advocating for their child. The advocate must understand the scope of services available for the student in the local public school classroom, including special classrooms or programs. He or she also must have knowledge of special programming found in the local community, and those resources beyond the locale. A thorough and realistic understanding of what is and isn't possible for the child gives the advocate the knowledge that is crucial in working toward achievable goals. integrate others' perspectives about the child in relation to how they work with the child. An effective advocate acknowledges others' accomplishments, uses techniques before, during, and after meetings to accomplish predetermined goals, and adjusts his or her presentation to impact the dynamics of school meetings. Depending on the school district, some students may have an Individual Education Plan (IEP), a 504 plan, a less formal type of instructional plan, or no plan at all. These plans typically include data documenting student strengths, which are matched with appropriate programs or services offered in the school (e.g., subject acceleration or participation in enrichment activities such as Junior Great Books). Parents and advocates are encouraged to find out the type of plans used for gifted and talented students in their school districts and the state regulations and/or district policies governing gifted and talented education. In all cases, however, the plan for the individual student needs to be crafted in a way that the program effect can be monitored. Effective implementation of the plan must include knowledge of the present levels of performance, which are specific and detail the child's current academic strengths and weaknesses. This information will be used as the starting point for goal setting. The goals in the individual child's plan are written using specific condition statements that are measurable and observable, along with criteria to establish that the plan has been successful. The advocate must monitor the implementation of the instructional plan. He or she will make sure that the decisions of the school team are documented and that there is a plan for coming back to check for progress and, if needed, to adjust the plan. What if I Decide not to Hire an Advocate? Parents who choose to a hire professional advocate will want to ensure that the advocate possesses all of the skills necessary to effectively represent their child. Parents who will act as an advocate for their own child must strive to find ways to develop their own skills or bring other experts, like a psychiatrist, speech therapist, or lawyer, who can help them in specific areas where they are less knowledgeable or are unable to perform the required task. Parents also can organize into groups to effectively advocate for their children. Public advocacy groups take a systemic and organized approach to raising public awareness about the special needs of exceptional children and work to enact policies and laws that affect the quality and range of programs and services available for these children. Public advocacy for children with exceptional gifts and talents and disabilities operate at national, state, and local levels. Advocacy groups include professional organizations and their state affiliates, as well as local school system parent advocacy groups. There are other opportunities outside of organized groups to be involved in public advocacy. These include serving on educational task forces, commissions, and even the local school PTA. Any venue that provides a public forum to discuss education is an opportunity to raise awareness about the needs of exceptional children. 1. Experience. Is the advocate an expert in educational issues and law? How many school meetings has the advocate attended? How often has she achieved the desired outcome for the student? How is her relationship with the school system, including gifted education personnel, special education personnel, the compliance office, and attorneys? Is she experienced with the specific issue that you are currently facing? 2. Personality. Is the advocate's personality and personal style a match with you (and your spouse)? 3. Cost and Charges. Can you afford it? (Think of the investment and whether to spend money on tuition and additional programming rather than advocacy services.) Does the advocate work on any type of reduced fee arrangement when there is a financial need? 4. Style for Dispute. Does the advocate approach the school system staff as adversarial or as a potentially cooperative? What is her thinking behind the pros and cons for dispute options? Does the advocate shy away from disputes or persist even in the face of challenging situations? 5. Resources. Does the advocate have knowledge of a network of experts in different fields? Does she have resources related to the various areas of your concern, including how to address your child's strengths and needs? In conclusion, it is crucial that we advocate for what each and every child needs in order to reach his or her own unique potential. An effective advocate helps parents and school staff to accurately see the problem and all of the possible solutions that may solve the problem that the individual child is experiencing. Parents and school system personnel have an opportunity to advocate for the children we serve and to tap one another's expertise as we work together. Knowledge is power. When the partners in education are armed with accurate information, positive outcomes will happen for children. Rich Weinfeld, M.S., is currently the director of the Weinfeld Education Group, LLC, which provides advocacy to parents of students with learning challenges, trains parents and staff on educational topics, and offers consultation to school systems. 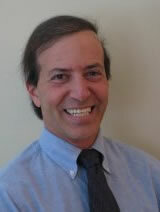 See Rich Weinfeld's Profile on Experts.com.